Despite the weather (tents nearly blown away), the public interest in the Honey bee industry was over whelming. 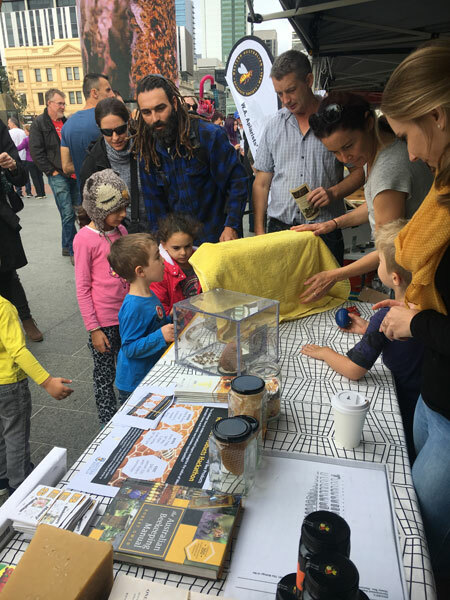 CRCHBP played a small role in telling the public about the research happening across Australia. If you ever visit Perth, please go to Yagun Square and enjoy two new business ‘Honey I’m Home’ and ‘The Honey Cake’.